I have decided to bid farewell to #740 and head into a different direction. Right now I am looking at trading it without the engine, trans, tcase, rear, ecu, and gauges. This is a ZERO rust car, that needs paint, and minimal body work. The car will include a cat back 3" CMP exhaust, intank walbro 450 with -8 feed bulkhead and -6 return bulkhead, BC RM coilovers, 17" SSR Type C wheels with half tread Dunlop Star Specs, engine harness, brand new OEM Clutch Master Cylinder, EH Motorsports short throw shifter, avid engine mounts, hood struts. The car has 4ws removed, depowered steering rack, new back brake pads (power stop z26), new slotted rear rotors, new front brake pads(stoptech para-aramid), 1yr old Moog front lower ball joints, 1yr old Moog tie rod ends, 1yr old Moog sway bar end links. The interior I would give a 5 out of 10, the front seats are still in really good shape and soft with Conquest head rest, the rear seats are ripped from sun damage at the tops but the bottoms are mint, the center vents have a few broken slats and one on the drivers vent, the carpet needs shampooed, the dash is in damn near mint condition with NO cracks, the sunroof has a open circuit and does not operate. Last edited by UnderPSI on Thu Oct 22, 2015 3:32 pm, edited 1 time in total. 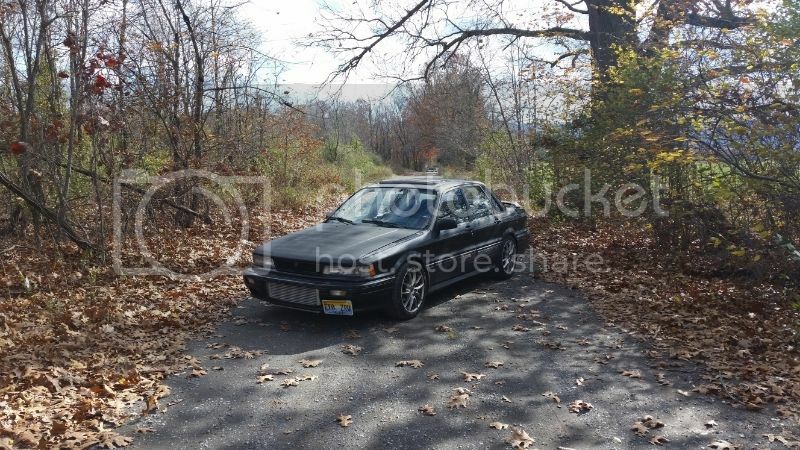 Post subject: Re: FS: 1992 Galant VR4 740/1000 1,500. My buddy is matching my part out number and will be taking the car off my hands in the next few months. This saves me a ton of work and I start on my new project with a good chunk of change. I'll leave this For Sale ad up just in case he flakes on me at the last second but the car is tentatively sold. 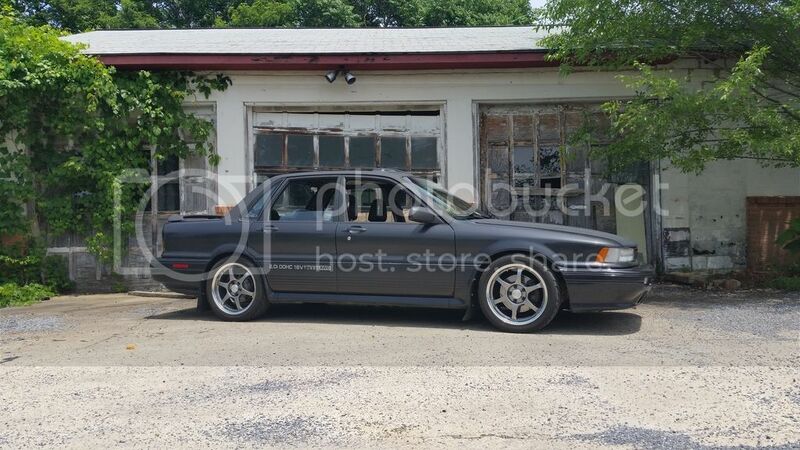 Bumping this up, looking to trade for a AWD CSM shell or possibly a serious fwd CSM set up. Simply put shell for shell, I want to go faster at the track and the VR4 has a little too much girth. I'll add current pictures of it tonight sometime. Appearance wise it hasn't changed other than the wheels. I did find Outlander caliper brackets, so it has the bigger Outlander rotors up front now. Still looking, possibly considering trading my running and very reliable AWD Auto Expo for a roller as well!